A wild young boy, raised in the wilderness by wolves, is found by a hunter and brought back to the human world to be “civilized.” But the world is anything but civilized to the young man, who finds himself trapped in a cold, uncaring world longing for freedom. 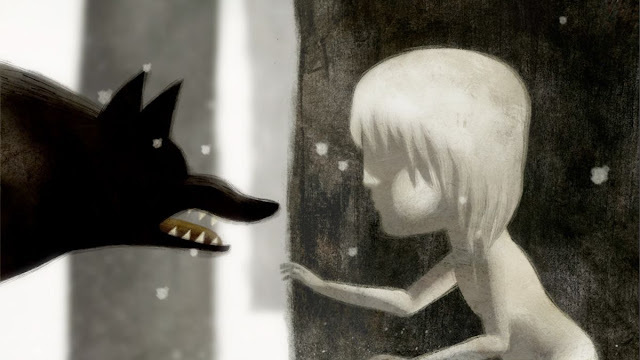 Featuring breathtaking hand-drawn animation, it is easily the strongest of a very good group of nominees. It’s a haunting, abstract, gripping film that looks like a moving work of art. This is what animation should be. Check out the entire film below, now streaming for free on Vimeo!